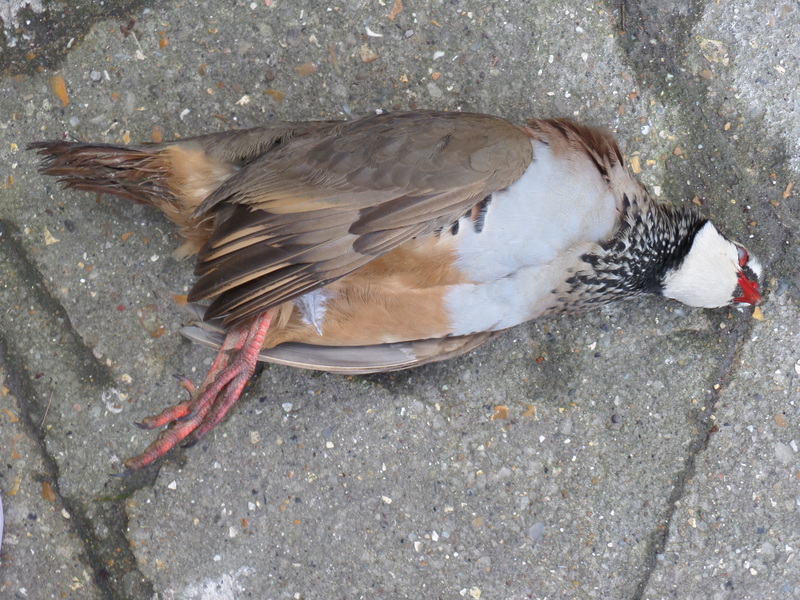 Today my cat brought me a red-legged partridge. My first instinct was to lock her out to save on feather carnage, my second, was to look on You-Tube for plucking and gutting instructions. 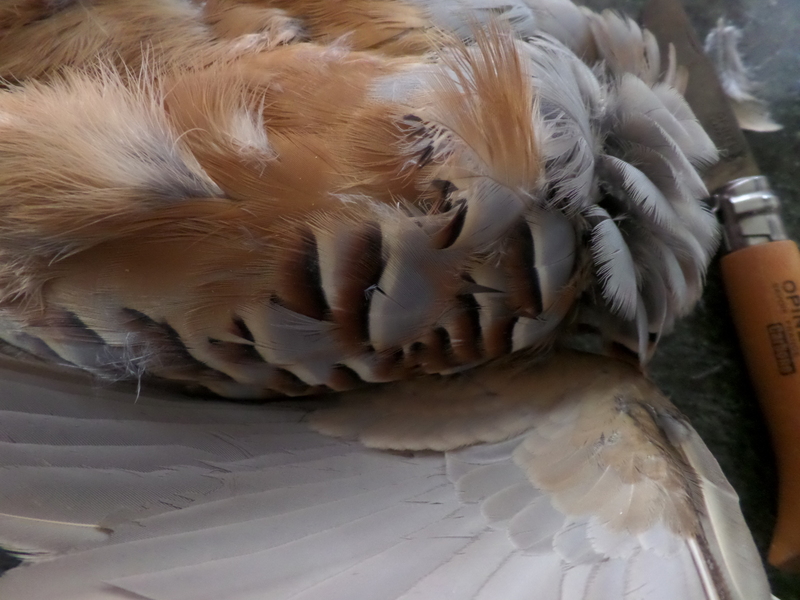 I watched someone make a competent amateur mess of a partridge, gathered my energies, gritted my teeth , and went in….. 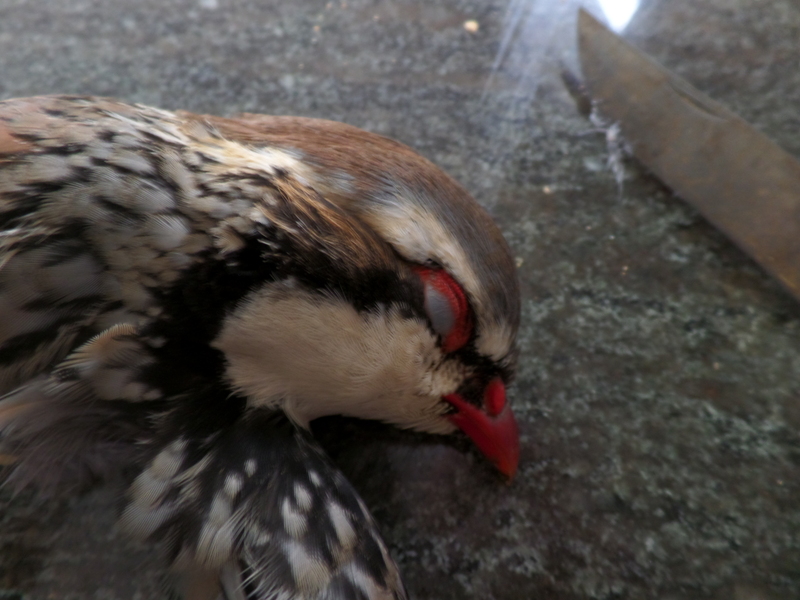 I do have pictures of said bird plucked and cooked, just in case you don’t believe me……..
Wow, your cat is some hunter! Found some lead shot in it, and a crop of corn..methinks she stole it from the hunters! LOL, she is brave to steal from a hunter with a gun.